A collection of medical-graded, highest quality skincare extract from different countries across the world. Blended with advanced technology, our collection of precious therapeutic beauty extract is each meticulously tested and vacuum-sealed at the lab in the United States, in order to ensure the content’s freshness and stability. They are supplements to the skin, which cater to various skincare concerns. Start making your choice today from our meticulous selection. Esculin is the major active principle from the horse chestnut tree, a plant that grows in Iran, Northern India, Asia Minor, South-East Europe, from the Balkans to the Caucasus. Early studies proved that with its anti-inflammatory and anti-edema properties, Esculin can strengthen and tone vein walls, and reduce symptoms of swelling and pain. Esculin contains saponin, flavonoids, anthocyanin, tannin, etc. Its anti-inflammatory and sterilizing properties heal wounds, nourish the skin and calm swelling caused by acnes. Esculin can also fight against free radicals and reduce melanin formation. Esculin Extract can regulate sebum and maintain the skin’s integral balance, hence improving rough skin. It nourishes the skin and alleviates swelling caused by acnes. Besides, melaleuca alternifolia oil is also effective in sterilizing and promoting wound healing. Dermapur HP, originated from European folk, is a pure white flower grown in humid climates. The flower, having the reputation of “Queen of Prairie”, is illuminating its petals over time with sunlight exposure. It naturally contains salicylic acid - renowned for regulating sebum secretion. It helps the skin clean and fresh, reducing shine, preventing acne and purifying pores. The skin is thus refined and smooth. Dermapur HP Extract re-equilibrates ecosystem in oily skin by regulating sebaceous secretion. Hamamelis virginiana extract is a potent medicinal remedy with soothing and pore refining properties. The natural moisturizing agent fills the spaces between skin cells to retain moisture, restoring the water and sebum balance. It helps promote healthy and shine-free skin. The pharmaceutical use of gold had a long history in Chinese Herbal Medicine. According to the “Compendium of Materia Medica” ,a pharmaceutical text written by Li Shizhen in the Ming Dynasty, “gold strengthens the spirit and bones, and calms the mind and soul.” In recent years, gold foil has been widely used in facial treatments and products. Research has proven that gold foil can stimulate the skin absorptive power and prevent dehydration at the same time. In order to benefit from this substance, gold foil must be in an ionic form so as to penetrate into the deep dermis. Nano Platinum on the other hand is a rare and precious anti-oxidant substance as compared to the others. Hence its anti-oxidizing and anti-aging effect are more superb. This extract contains precious nano gold particles extracted from purified gold foil. Nano gold can easily penetrate into the deep dermis through body heat while massaging the extract onto the face. Nano Gold forms a protective shield against oxidation on the cornified layer and stimulates metabolism at the same time, leaving your skin supple and resilient. Fullerene is a form of carbon molecule consisting of 60 carbon atoms discovered in 1985, and the founder has been awarded the 1996 Nobel Prize in Chemistry. Highly resembling the works of architect Buckminster Fuller, the chemical is named after the artist as a sign of tribute. In 2010, fullerenes have also been detected in outer space. Therefore there is inference that fullerenes possibly provided seeds for life on Earth. External hazardous substances such as UV and stress will generate free radicals in human bodies. Excessive free radicals harm our healthy cells and stimulate oxidization, resulting in skin aging problems such as wrinkles, dullness, or even inflammation. Fullerene is one of the best antioxidants, which research found that its anti-oxidative ability is 172 times more effective than vitamin C. It is a football shaped molecule that acts like a spinning magnet with arbitrary magnetization, absorbing free radicals through the molecular layer during high-speed rotation, shielding the skin from oxidative damage. 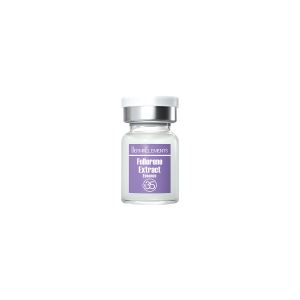 Fullerene Extract directly deal with skin oxidization, which is the source of skin aging. It effectively reduces melanin formation, promotes dermal cell growth and collagen production, and hence improves fine lines, skin dullness and sagging, restoring healthy and beautiful skin. The human stem cells in skin are the important element to maintain healthy and youthful skin. However, the number of skin stem cells decreases as we age, resulting in skin aging. Therefore, a substitute to human stem cells is needed for anti-aging therapy. In 18th-century Switzerland, a rare type of apple called Uttwiler Spätlaube was cultivated. It was known for its remarkably long shelf-life. Research has proven that those apples contain highly active plant stem cells, with plenty of nutrients and protein. Scientists extracted the stem cells from the fruit, and discovered that the apple stem cells, like human stem cells, have the ability to regenerate new cells and repair damaged cells, which help inhibit skin aging, restoring suppleness of skin. Apple Stem Cell Extract contains Argireline, which has the similar effect to Botox, inhibiting the reactions that cause muscles to move or contract, and thus reduces the appearance of wrinkles and fine lines formed by facial expressions. It can penetrate into the epidermis easily, prevent damage of collagen and elastin, and thus inhibit skin aging. Glutathione is the most powerful natural anti-oxidant that exists within the cells in animals, preventing damage to key cellular components caused by free radicals. Found throughout the tissues, fluids, and organs in the human body, glutathione is concentrated in the liver. It can maintain the immune system and protect against oxidative DNA damage. It also helps reduce the signs of aging and improve skin clarity. Glutathione Extract contains 7 different natural whitening ingredients extracted from plants that grow on the Alps. It is a medical grade whitening extract that can be used after laser pigment removal treatments to prevent post-inflammatory hyperpigmentation, restore radiance and inhibit aging. It also contains malpighia funicifolia (acerola) fruit extract, which is known for being extremely rich in vitamin C and minerals. It is effective in lightening spots and skin discoloration. Subtilisin is a water-soluble proteins extracted from bacillus subtilis. It gently dissolves dead skin cells, promotes metabolism, stimulates collagen production, restores resilience and improves wrinkles. It can increase the water retention capacity of the skin, improve the microcirculation, reduce melanin formation, and accelerate depigmentation. Subtilisin Extract is first crystallized, with impurities removed to become stable and mild so that it can be absorbed by the skin directly. It retains moisture in deep dermis and gently dissolves accumulated dead skin cells, improves fine lines and rough skin, hence back tracks the youthful radiance, resilience and translucence. Royal Jelly is a nutrient produced by bees for the raising of a Queen Bee. Thanks to the miraculous nutrient in the milky liquid that makes up their whole diet, the Queen bees are almost 4 times bigger in the size and live 50 times longer than their workers. For humans, Royal Jelly is a super-rich source of a multiple of vitamins and minerals that can benefit general health and wellbeing. Royal Jelly is a natural beauty skincare product. It contains rich vitamins, protein, minerals and amino acids, which supplies nutrients to skin cells, promotes normal dermal cell growth and stimulates metabolism. It maintains skin radiance and resilience as well as protects it from external damages caused by UV and air pollutants. Royal Jelly Extract promotes dermal cell growth and prevents skin aging. Its anti-oxidizing capacity can effectively protect the skin from environmental damages caused by UV and air pollutants. 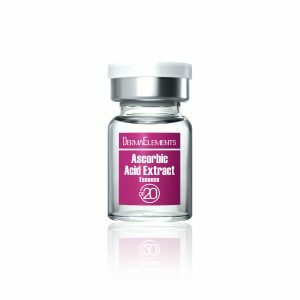 Hyaluronic acid is added to the formula to further enhance hydration in deep dermis, restoring suppleness and radiance of skin. Saccharomyces lysate extract is also added to help calm and soothe inflammation, repair damaged cells, boost cell regeneration, and promote collagen production to restore skin suppleness. A hormone is a chemical released by a cell or a gland in one part that sends out messages to affect cells in other parts of the body.Research has proven that hormones and our immune system directly affect the quality of our skin. As we age, hormone secretion decreases and hormone imbalance leads to skin aging. Soy isoflavone extracted from soy beans is a natural hormone, also known as phytoestrogen. Soy isoflavone can be absorbed by human bodies, hence repair damaged cells, restore skin firmness and resilience, at the same time stimulate collagen production and improve fine lines. Soy Isoflavone Extract is very similar to human estrogen hormones. It is especially efficient in improving problems like imbalanced and insufficient female hormone. It effectively improves skin quality and back tracks the youthful radiance and resilience. There is plenty of moisture in babies’ skin because it contains abundant hyaluronic acid, a natural moisturizer with excellent water building capability. Hyaluronic acid is a mucopolysacharide that exists naturally in all living organisms, usually around connective tissue, synovial membrane, eye vitreous humor, and in the dermis. It is an ideal natural moisturizing factor, because its water absorption ability and large molecular structure allow the epidermis to achieve greater suppleness and elasticity. As the protein can hold water up to 500 - 1,000 times its own weight, it is known to play a vital part in slowing down the aging process, caused by the depletion of water level in the skin. Maintaining high levels of hyaluronic acid is said to reduce wrinkles caused by dehydration and general aging, by retaining water and giving immediate smoothness to rough skin surfaces and significantly improves skin appearance. Hyaluronic Acid Extract is an ideal hydrating agent under all levels of humidity throughout the year. It forms a protective shield against moisture loss, with long-lasting moisture replenishment. It stimulates collagen synthesis, lightens and prevents wrinkles, maintains velvety translucent and resilient skin. Collagen is a protein found inside the bodies of human beings and animals. It is the main protein between connective tissues in our bodies and it serves as an adhesive between bones, muscles, vessels and skin cells. It forms 75% of the dermis which gives the skin its resilience. As we age, collagen ages with us and this is the main origin of skin aging and sagging. Collagen Extract can penetrate into the epidermis easily, stimulate collagen production, enhance hydrating ability so as to prevent skin from aging and restore elasticity and firmness. Ceramide is a major component between the skin cells. It enhances self-protective and self-hydration ability of skin cells. It shields the skin against external harms such as UV, pollution as well as change in humidity and temperature. As we age, gradual loss of ceramide causes our skin become rough, dehydrated and dull. Ceramide molecules can penetrate into epidermis and form a protective shield to prevent loss of moisture and lock it in between skin cells. It can effectively refine pores and improve structure of cornified cells, hence restores skin suppleness and resilience. The natural active ingredient abstracted from chamomile is also effective in skin repairing. Vitamin B5, also known as “pantothenic acid”, is a major component of coenzyme and is an essential vitamin in human bodies. It accelerates skin metabolism and enzymatic catalysis. Vitamin B5 is also a natural moisture keeper which moistens the cornified cells directly. It enhances the antiseptic and anti-inflammatory capabilities of our skin, and reduces acnes and blackheads. Vitamin B5 Extract locks the skin’s natural moisture, leaving the skin healthy velvety translucent. It also prevents acnes caused by dryness, keeping the skin radiant and healthy all the time. During the Antarctic summer of 1988, a Spanish scientific expedition collected mud samples from Antarctica. A new bacterial strain, Antarcticine, is characterized. It can retain water and withstand the extreme cold. After research, it is proved that Antarcticine helps the skin to retain water, stimulates fibroblast adhesion and keratinocyte growth, regenerates tissues and enables a faster healing of wounds. The tiny molecules can easily penetrate the skin, deeply nourishing the skin and increasing water retention. As such, it effectively repairs dry and damaged skin. Unique complex of ingredients helps reducing moisture loss, particularly in harsh weather conditions. With long-lasting moisture replenishment throughout the day, skin is smooth and healthy-looking. Centella asiatica, or commonly known asiatic pennywort, was the accredited “Longevity Herb” in the ancient times. Centella asiatica is mild in nature with wide application including body nourishing, anti-inflammation, wound healing and detoxifying. Other than oral intake, it can also be used externally on aiding wound and ulcer recovery, or even for beauty purposes. With its remarkable revitalizing power, centalla asiatica stabilizes hydrolipidic film, prevents moisture loss and enhances defense ability, while keeping the skin soft, moisturized and supple. It is especially effective on repairing weak and sensitive skin. Centella Asiatica Extract offers calming effect to alleviate injured sensitive skin by improving cell vitality and repairing ability, while at the same time accelerating collagen formation and fibrin regeneration, leaving the skin young, healthy and uplifted. The extract gently removes the dead skin cells and stimulates skin metabolism. It can also improve the moisture level and smooth out wrinkles, restoring firmness and resilience of skin. As we age, loss of amino acid leads to skin aging problems such as skin sagging. Continuous and sufficient supply of amino acid can promote skin metabolism, stimulate collagen production and repair damaged cells, restores elasticity and firmness. Peptide consists of many units of amino acid. It instructs cells to create new cells and repair damaged tissues. All peptide of the molecules are nanoscale in size, easy for the skin to absorb. Micro Peptide is 6 times smaller than an ordinary peptide, which triggers collagen production and improves wrinkles. Micro Peptide Extract is uniquely formulated with two patented anti-wrinkle ingredients ─ Matrixyl and Argireline, to shield the skin from the environment against UV and pollution. It helps lock the skin’s natural moisture, accelerates skin renewal and inhibits skin aging. It is especially effective to improve fine lines on the forehead and around the eye contour, resulting in resilient and youthful skin. Coenzyme Q10, a very easily oxidized lipid-soluble molecule, is made by the body and also derived from food. It is an essential substance in the human body, as well as the source of power of human cells. Q10 has an anti-oxidizing effect, and fights against free radicals so as to enable cells to operate normally. Research has proven that Q10 can stimulate collagen production and repair damaged cells, hence prevents and reduces the appearance of wrinkles up to 20% to 30%. The Q10 level starts declining as we age. Studies have shown that lack of Q10 will accelerate the aging process. Therefore proper replenishment of Q10 is essential. Skincare products containing active Q10 enzymes help to stimulate collagen, improve elasticity and retain skin moisture. Q10 Extract contains ultrafine liposome particles which can be easily absorbed by the skin and effectively penetrate through the cells. It is one of the best anti-oxidant which prevents cell damages and skin aging; it also effectively fights against UV damage and improves wrinkles. As a source of power, it stimulates metabolism and promotes normal dermal cell growth. Continuous usage will vitalize your skin, recalling the appearance of youth. Discovered in 1970s, copper peptide has been proven to be effective in skin remodeling, wound healing and anti-aging. Copper peptide consists of amino acids and copper ions. It is an essential substance in human bodies, and can be produced in blood and saliva. Copper peptide promotes collagen production, repairs damaged cells, enhances anti-oxidization and growth of blood vessels. Many clinical studies about burns and diabetes have reported that copper peptide can help restoring skin’s self-repairing ability, defending the damaged tissues against inflammation, and accelerating healing. Therefore copper peptide has been considered as the mildest skin repairing and anti-aging ingredient in the 21st century. Copper Peptide Extract enhances the self-repairing ability of the skin, defends the damaged tissues against inflammation, accelerates skin metabolism, fights against free radicals and inhibits aging. It contains growth factors that stimulate normal dermal cell growth, which is especially effective for skin repairing and moisturizing after medical skincare treatments. It also promotes collagen production, repairs damaged cells, improves skin sagging problem, and restores firmness and elasticity. The regeneration cycle of skin cells slowly expands as we continue to age. Aging keratinocyte cells begin to accumulate and there will be a lack of hydration in outer layer of keratinocytes. The rate at which these cells are regenerating is not sufficient, thus leading to an irregular arrangement of keratinocyte cells. These cells will no longer have the ability to be removed naturally, which results in problems such as rough, yellowing, dull and pale skin. The XCELL-30® is extracted from the red algae (Halymenia durvillei) through extraction techniques in biotechnology. It is the main ingredient used to enhance the skin’s renewal process to promote a healthy skin cell renewal cycle. Furthermore, it may accelerate levels in which keratinocytes form in the base layer of skin cells. This not only increases the thickness of the epidermis but also allows skin cells to preserve its youthfulness and beauty. The XCELL-30® Extract can enhance the skin's renewal process to promote a healthy skin cell renewal cycle. Imperata cylindrica is rich in potassium and 3-dimethylsulfopropionate (DMSP) to regulate osmotic pressure, generating a 24-hours water supply to skin cells and epidermis. Through daily application, this extract moisturizes, improves texture and clarity, yielding a beautiful, balanced, and glowing complexion. PhytoCellTec™ Argan is a new active ingredient that is derived from the highly rare argan tree, one of the oldest tree species in the world. The trees, with 8,000 years of history on earth, can live for 150 to 200 years. It is indigenous to the arid southwest of Morocco and has adapted perfectly to intense drought and extremely high temperature. PhytoCellTec™ Argan is derived by novel plant cell culture technology that enables the large-scale cultivation of stem cells from rare and protected plant species. PhytoCellTec™ Argan is the first active ingredient to demonstrate a proven protecting effect on dermal stem cells, which is capable of achieving a deep-seated rejuvenation of the skin. This not only helps to accelerate the skin’s natural repair process but also extend the vitality of dermal stem cells. It maintains the health of fibroblast growth factor, and gives instructions to build new collagen. This helps slow down the aging process, so that the skin stays young and meticulous. PhytoCellTec Argan Extract uses the Liposomes, an advanced technology to deliver active molecules to the site of action. Liposomes are the multi-layer microcells where the lipid bilayer orderly arranged, with the structure similar to phospholipid bilayer of the biologic membrane. The is active ingredients are encapsulated in the liposomes to penetrate the skin deeply, enhancing the ingredient absorption abilities. This helps the active ingredient to fight skin aging right at the root. 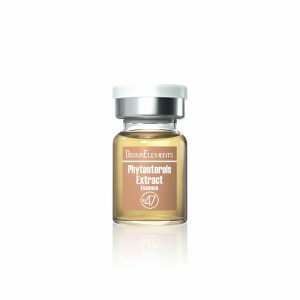 The extract is specifically formulated to make tired skin looks youthful, helping to correct the visible signs of skin aging, and to reduce wrinkles and fine lines, resulting in a fresh and radiant appearance. Tyrosine is a non-essential amino acid found in skin cells, which is a precursor of melanin. The formation of melanin is caused by the natural reaction of our skin to defend against UV rays and external harm, in which tyrosinase is produced to convert tyrosine to melanin. Arbutin is extracted from the leaves of bearberry plant. It prohibits tyrosinase actions, prevents melanin formation and accelerates depigmentation. Arbutin Extract contains Alpha Arbutin, which is an efficient but mild natural tyrosine inhibitor that is more stable than Beta Arbutin. It effectively inhibits the formation of melanin pigmentation by slowing the activity of the enzyme tyrosinase and blocking the chain reaction at various points from tyrosine to melanin. The extract not only prevents spots and freckles, but also lightens the skin. Tranexamic acid is normally used as a coagulant to treat or prevent excessive blood loss during surgery and in various other medical conditions. Research then discovered it has whitening effect which prohibits tyrosinase actions and reduces melanin formation. Since then, it is widely used as a whitening ingredient to treat pigmentation problems like melasma and other melanin issues. Tranexamic Acid Extract contains 7 different natural whitening ingredients extracted from plants that grow on the Alps. It can effectively prohibit tyrosinase actions, reduce melanin formation and restore radiance of skin at the same time. It can also be used after medical facial treatment to enhance skin recovery. Argireline, also known as Acetyl hexapeptide-3, is a peptide patented by the Barcelona-based research laboratory Lipotec. It has the effect of Botox but without the risk of direct injection. When applied to specific areas of the face, Argireline inhibits the reactions that cause muscles to move or contract, hence reduces the formation of wrinkles and fine lines. Argireline has similar effect to Botox. It prevents and reduces the formation of facial expression lines, especially on the forehead and around the eye contour. It can effectively smooth out wrinkles and fine lines and act on signs of aging to recapture flawless, radiant skin. Snakes use venom, delivered through fangs, to immobilize or kill their preys. The venom directly attacks the nervous system or muscular system, so as to induce the respiratory failure or to make the prey lose muscle control, and thus eventually kill the preys. The Swiss experts conducted a comprehensive research on snake venom, and discovered that some proteins and enzymes in snake blood plasma can block the neurotransmitter. Thus the experts extracted the tri-peptide, and reduced the toxicity to a minimal that is just capable to block receptors and keep muscles in a relaxed state of mind, so as to smooth out wrinkles. Snake Venom Extract contains multi-active lifting essences, which instantly uplift and rejuvenate the skin, and smooth out wrinkles and fine lines. The complexion is bright and radiant. The extract also helps lock in moisture between skin cells, so as to restore refined and youthful facial contours. 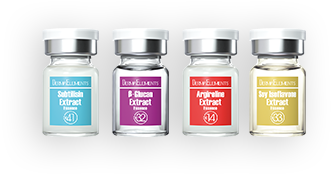 In DermaElements Extracts, the ingredient Moist24™ would activate the Na+/K+-ATPase at cell membrane, which aids the delivery of nutrients of extracts direct into the cell and maintains long-lasting nourishment. When the cell is in a normal state, the microscopic channels on cell membrane open to accept nutrient, thus the cell remains healthy. Most of the microscopic channels on cell membrane are closed, affecting the normal nutrient transfer. Additional nourishment cannot be absorbed, hindering the improvement of skin problems. 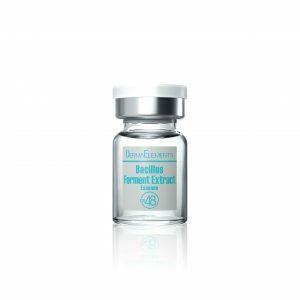 In DermaElements Extracts, the ingredient Moist24™ contains high level of Potassium and DMSP, activating the Na+/K+-ATPase at cell membrane, opening the channels for nutrient penetration into the cell, which can improve the moisture level and absorption capacity of the cell.